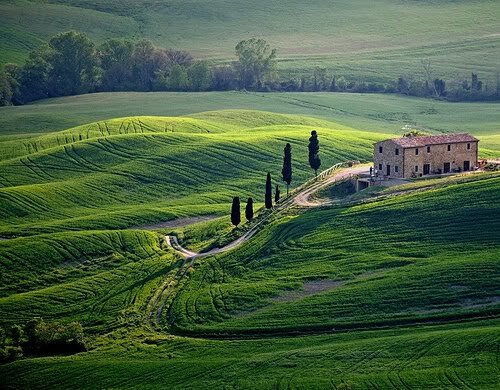 When I think of Tuscany, I think of the majestic Italian Cypress trees dotting the landscape, walking down roads and up driveways. Lately, I've been thinking of Tuscany a lot. #2 Son leaves on Sunday for Florence. He will spend his fall semester there, and we plan to visit mid-October. 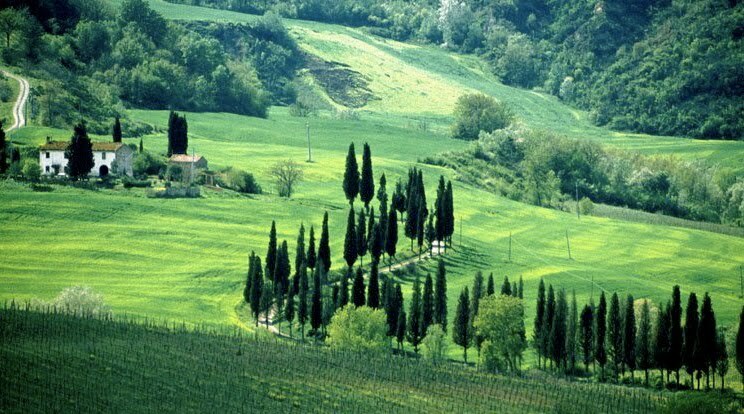 It will be fun driving through the countryside, taking photos like the one above of Italian Cypress trees. Although we think of these trees as Tuscan, they actually originated from Syria and Persia. They were brought to Italy by the Etruscan people and valued for their "supernatural" powers. They believed the fragrant wood of the trees could ward off evil spirits. I'm glad we have Italian Cypresses in Asti. Here they are marching up our driveway, lending a Tuscan feel. They seem to thrive in the wine country climate, so I've been planting them here and there. Maybe they can ward off evil spirits! Or rattlesnakes! seven of them and had them planted in a straight line, which wasn't easy because of the terrain. After planting, they look much shorter! My goal is to have them towering over the roses. I'm throwing some fertilizer on the cypresses next week and trimming the roses. That should do the trick! Gorgeous photos, Delores...your roses are so lush...hope you don't encounter many snakes, they give me the heebie jeebies! 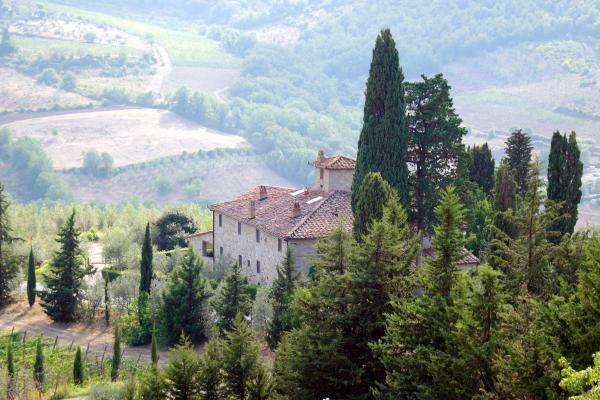 Your property in Asti is breathtaking! Exquisite! I agree with Kathysue, I would have concluded your home was in Tuscany. Beautiful. Have a wonderful weekend. Gorgeouse photos and gorgeous vistas. Delores, beautiful photos. 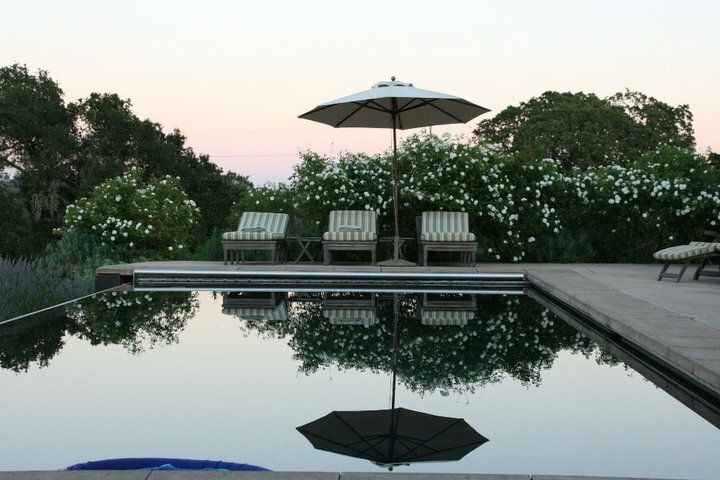 Your pool area is gorgeous. What type of white roses are those? The trees will look gorgeous behind the pool! Now don't trim up the roses too much~they are beautiful! In time those Cypress will tower above the roses and provide an even more lush backdrop.. So beautiful. Wish #2 good luck and above all have some fun. What wonderful photos ~ they reminded me of the movie "Letters to Juliet" very Tuscan!! Delores, I know I always gush about your gorgeous views. They are stunning and the roses are beautiful! Your trip to Italy is getting close and I know you have to be excited. I loved Florence! Your posts are always wonderful and inspiring and this one is no exception. I love seeing the photos of the trees - in both countries. I have never been to Italy, but in pictures, I have noticed the rolling hils and grapevines and colors, but I don't know that I've ever focused on the trees. Now I will. You have introduced me to a new key to the beauty of Tuscany. I love the Italian Cypress. What variety did you plant? I noticed some in the Napa valley that had sides clipped smooth as velvet. As to growing fast: my uncle has planted millions of trees, he says your tree will grow miraculously fast if you use Agriform tablets when you plant. I got some, and used dropped them in a hole down the side made by a stake. You have to hunt around for the Agriform tablets. (I get mine at a sprinkler/pipe landscape store in Elk Grove). What stunning images and views. The cypresses are a great addition to the already spectacular setting. As usual, great eye Delores. Начальные классы, когда не было никаких задач и забот, когда жизнь вертелась вокруг игр и домашнего задания, когда родители казались всемогущими... Приходишь со школы домой, мама кормит вкусным обедом, вечером подружки во двор зовут.. А взрослая жизнь ужасна: работа, надо деньги зарабатывать, за домом следить, и жизнь как оказалось очень сложная штука в плане человеческих взаимоотношений. Эх.. Хочу опять быть маленькой. Are these your photos??? They're just gorgeous!!! Have you seen my sister's blog. You two are like two peas in a pod in many ways. 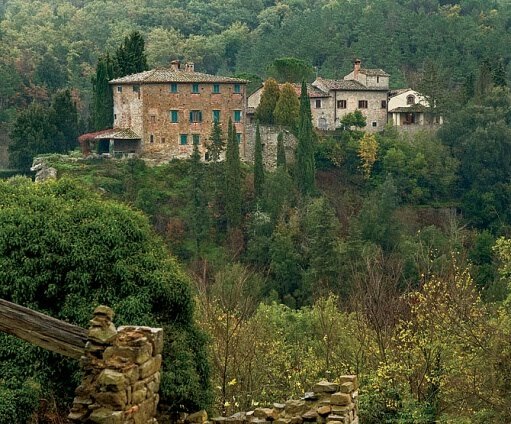 She has some beautiful photos of Tuscany, too. И сейчас почему-то отчего, но он задевает меня, острит по-злому, припоминает какие-то косяки с моей стороны, именно валит с больной головы на здоровую. Сегодня сказал "Хорошо, что я облюбовал не тебя, а ее", он бъет по больному месту... Может при всех что-то невежливо заявить или же повысить голос, не делает то, что я прошу сделать по работе, огрызается, подкалывает. Я ему ничего полохого не сделала, просто любила. Да, может слишком много ему прощала в отношениях. В этом ли вина? Како је леп пост. ЈА стварно љубав за читање ове врсте или предмета. Могу Т чекам да видим шта други имају да кажу.